Privacy allows us to be ourselves, to think and act without the presence, interference or judgement of others. Privacy is important to everyone, but especially to those who need support with their personal care, finances and recreation choices. The first issue to consider around privacy is to ensure that we are adhering to the law. The idea of privacy is so important that we have legislation covering it, in the Commonwealth Privacy Act, 1988. The Department of Human Services (DHS) is bound by the Information Privacy Principles (IPPs) Instruction, issued as Premier and Cabinet Circular No. 12. 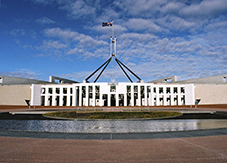 Beyond matters covered by legislation are privacy matters covered by action and behaviours. How people are treated in relation to their privacy is an essential part of Dignity in Care. The UK Social Care Institute for Excellence lists the following in support of promoting privacy for people who require support. Ensure a confidentiality policy (supported by procedures and work instructions) is in place and followed by all staff, from cleaners to chief executives, and also family and friends. Ensure that only those who need information to carry out their work have access to people's personal and medical records, or financial information. Get permission before entering someone's personal space. Get permission before accessing people's possessions and documents. Provide ensuite facilities where possible. Respect people's space by enabling them to personalise their own rooms. Consider issues of privacy if a person requires close monitoring or observation. To this list, we would add the following points; while reading them, consider if you have ever come across these potential restrictions of people's privacy. Make sure people are never left exposed to the gaze of others, especially when in a state of undress, performing or being supported around personal hygiene, or being examined in a medical context. Ensure that no discussion of people's business occurs around others who have no need to know that business. Forbid any gossip about people who are being supported, by staff and others in care, and actively enforce this instruction. Ensure that support staff respect people's right to not answer personal questions. Ask the person for permission before taking photos, videos or other recordings, even if the intended use is for staff education or medical files. The South Australian government and its agencies provides ways in which support workers and carers can meet, increase or enhance the capacity of people with disability to possess and maintain their privacy. Read the DHS's page on freedom of information, open government and privacy. Read the about client rights and responsibilities (DOCX 75.5 KB). Read the State Records page on privacy. We also suggest you watch the video on privacy (15 minutes), from the United Kingdom's Social Care Institute for Excellence. 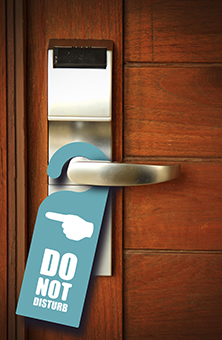 Do we knock and wait for permission to enter, where such permission can be given audibly? Do we leave people's mail and email unopened, unless asked for help? Do we leave their diaries, journals, notebooks and so on unread by us and others? Do we make sure that privacy is respected during people's dressing, toileting and bathing times? That their modesty is respected? Do we ensure that people with visitors are left alone to enjoy that time together? 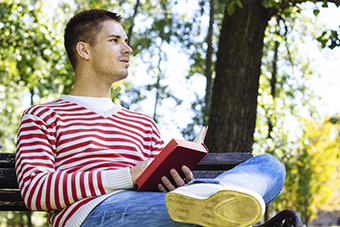 Do we refrain from intruding on people when they are clearly spending time alone by choice? Do we respect confidences that have been shared with us, unless keeping silent puts someone at risk? If we do all these things and more, we are supporting people to enjoy their privacy, as we all have a right to expect. Respecting privacy – it's about recognising and acting to serve the humanity and individuality of the people with and for whom we work.